Activision and PlatinumGames have put out a new video for 2016's lead contender for "Video Game with the Longest Title," Teenage Mutant Ninja Turtles: Mutants in Manhattan. Amidst all of the cutscenes and Splinter's voiceover, you'll catch the occasional glimpse of gameplay footage. Most of what's being shown off here are the bosses. You've got Rocksteady, Bebop, Slash, the always popular Wingnut in some kind of laser-shooting platform, and brief glimpses of Shredder and Krang. Throughout the video you'll see a couple seconds of all four turtles battling against these foes, though there's no HUD or other visual elements on the screen so it's hard to say what all is going on outside of "four turtles beating on some boss that doesn't really seem to care." 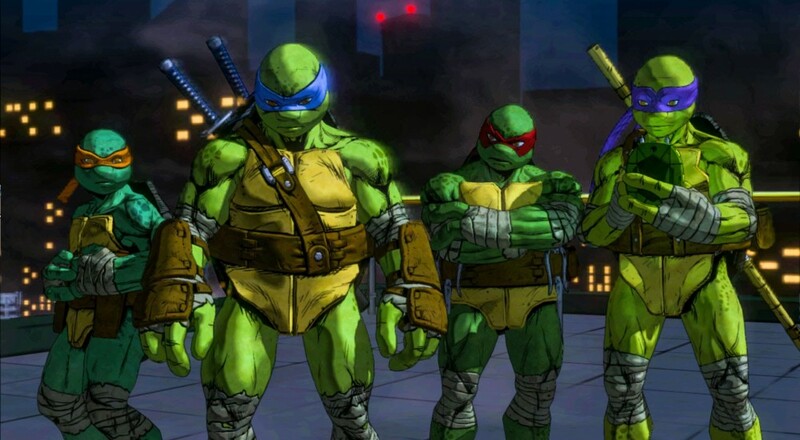 Teenage Mutant Ninja Turtles: Mutants in Manhattan now has a May 24 release date on the PC, Xbox 360, Xbox One, Playstation 3, and PlayStation 4. It supports up to four players via online play for the entire campaign.